Freedom is a small Lakes Region town between the Maine border and Ossipee Lake. 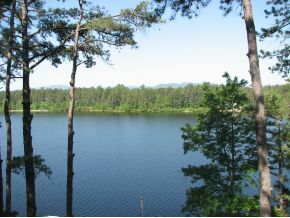 With lovely lake frontage on Ossipee Lake, Broad Bay, Leavitt Bay, Berry Bay, and Loon Lake, the opportunities for boating, fishing, and swimming are near endless. Trout Pond, in particular, is known for its great fly fishing, and the forest around it is a designated protected area and largely untouched. Freedom homes for sale feature everything from multimillion dollar mansions to small, affordable cottages. Browse current listings below. Call us now or contact us online with any questions or to schedule a tour. To save this search and get automated email notifications as new Freedom homes come on the market, please sign up for a free account with our website. Click here to see current Freedom waterfront homes for sale, and homes with water access. Ossipee Lake ~ Gorgeous Waterfront Craftsman Style Custom home beautifully sited overlooking lake with scenic water views from every room. Built with quality features and attention to detail, both inside and out, creating the perfect setting for entertainment, family gatherings and a peaceful retreat. Built in 2006 with quality materials and loaded with upgrades. Open floor plan features custom kitchen with granite, high end appliances, radiant heat flooring, overlooking dining and family room. 2nd floor has grand master suite with private bath and slate balcony. And additional bedroom w/private bath. Great room features wet bar, kitchen, full bath - could be used for extended family or game room. Guest house is located over 2 car heated garage sleeps 4 -5 comfortably. Lake offers year round enjoyment! I have a question about the property at 342 W Bay Road Freedom NH 03836 (#4742381). I would like to schedule a visit for the property at 342 W Bay Road Freedom NH 03836 (#4742381). I have a question about the property at 405 Huckins Road Freedom NH 03836 (#4742864). I would like to schedule a visit for the property at 405 Huckins Road Freedom NH 03836 (#4742864). I have a question about the property at 88 North Broad Bay Road Freedom NH 03836 (#4704008). I would like to schedule a visit for the property at 88 North Broad Bay Road Freedom NH 03836 (#4704008). Life at the lake, what could be better! Life at the lake with the whole gang! Grab a mug of something warm and relax and watch the snow fly from the comfort of your very own Ossipee Lakefront Home! Spacious home features a 4 season sun room with walls of glass that over looks the lake. 3 sliders bring that view into the living dining room and the open concept of the home means the cook is enjoying the view too! Easy care tile floors have radiant heat so toes are warm on the coldest winter day! First floor bedroom has slider to that same sun room so enjoys that lake view too! Full bath with laundry room just around the corner from the bedroom. Lots more room upstairs, 2 bedrooms, a walk-in closet or spare bedroom & a full bath! Then there is the basement, set up for another mini kitchen, there's also the utility room, a 3/4 bath, another large closet and a full length family room or bunk area! Another slider leads out to the play room, hook up a gas stove and use year round! But wait, there's more. The Cottage has it's own kitchen, living room, full bath and a bedroom upstairs with 1/2 bath. Great space for guests! About 15 minutes from King Pine, 30 minutes from North Conway, plenty of outdoor activities close by! Come Summer you'll be out on the lake. Start your day sitting on your private dock listening to the loons calling Good Morning! Cruise the Ossipee Lake all day then relax at home and watch the sunset. It's waiting for you, not many like this, DON"T WAIT! I have a question about the property at 46 Paulipoint Road Freedom NH 03826 (#4670837). I would like to schedule a visit for the property at 46 Paulipoint Road Freedom NH 03826 (#4670837). I have a question about the property at 55 Burnham Road Freedom NH 03836 (#4745631). I would like to schedule a visit for the property at 55 Burnham Road Freedom NH 03836 (#4745631). BEING SOLD AS IS. A rare equestrian find! Located on the Maine/NH border in Eastern Carroll County, Mishawum Farm, has 55+acres, in two parcels. 22+ acres are in pasture with gently rolling to level land, and enclosed by vinyl and wooden fencing . The 4BDR/2BA , 1986 Cape home is designed for easy care with vinyl flooring and open floor plan. Finished in law space in the basement includes kitchen, living room, 2 bedrooms and full bath. The farm encompasses three barns, indoor arena, 2 lg sheds, and lg run in shed. The main barn, with partial timber frame construction, has 18 stalls, water, heat, electricity,viewing room, tack room, 2 bathrooms, large hayloft,office and finished living space. The two additional barns, each 150'x40', have 24 stalls each, water and electricity and could lend themselves to other uses as the stall panels are removable. The indoor is 68'x112', with lighting and has direct access from the main barn. The property does need some TLC to bring it back to its former glory, but the infrastructure is there for a variety of uses/with town approval. Broad Bay, the largest of the eastern bays of Ossipee Lake is right across the road. Sited in an area of beautiful youth camps and cottages the farm is tucked back from the road and enjoys privacy from all neighbors. Mishawum Farm is located just 20 miles. Ideal location for a campground, several in immediate area. Subdivision potential. I have a question about the property at 260 Huckins Road Freedom NH 03836 (#4719671). I would like to schedule a visit for the property at 260 Huckins Road Freedom NH 03836 (#4719671). I have a question about the property at 119 West Bay Road Freedom NH 03836 (#4727150). I would like to schedule a visit for the property at 119 West Bay Road Freedom NH 03836 (#4727150).